Westlake Hospital launched Healthy Over Hungry Cereal Drive to help area families struggling with hunger during the summer. The drive will benefit the Our Lady of Mount Carmel Food Pantry in Melrose Park and the Greater Chicago Food Depository. “At Westlake Hospital, we recognize hunger exists in every city in America, and our compassionate staff is once again eager to join the fight against hunger and make a difference in our community,” said Patrick Maloney, CEO, Westlake Hospital. “Last year, our organization donated nearly 15,000 breakfast food servings and we hope to reach 15, 000 this summer,” Maloney added. 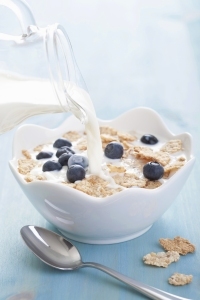 Westlake Hospital offers two ways to contribute to its Healthy Over Hungry Cereal Drive. One does not require a trip to a grocery store as the monetary donations are accepted on the Virtual Food Drive: www.westlakehosp.com/cereal and it is a very convenient way for busy individuals who want to make a difference. Through June 10th, Westlake Hospital also is accepting donations of whole-grain cereal, cereal brands low in calories and sugar, cereal brands high in fiber, and healthy breakfast bars at the main hospital lobby at 1225 West Lake Street in Melrose Park. Donors may call the main hospital number (708) 681-3000 for more information.